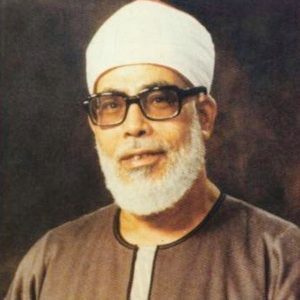 Mahmoud Khalil Al-Hussary is a renowned reciter of the Quran. He was born in a village called Shubra Al-Namlah in Tanta, Egypt. In 1949, Mahmoud Khalil Al-Hussary was appointed reciter of Sidi Ahmed Al-Badawi of Tanta , of Al-Ahmadi Mosque and then of Al Imam Al Hussein Mosque in Cairo by 1955.